What are 3M Radial Discs? 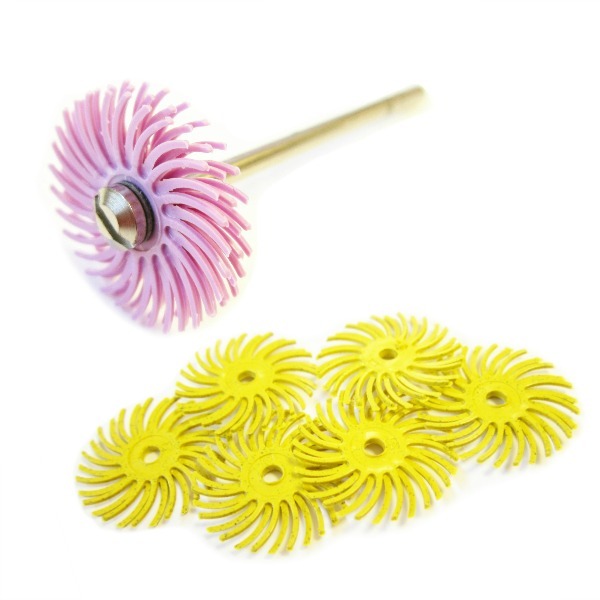 3M Radial Discs are an excellent tool for jewellery polishing with many benefits and applications. 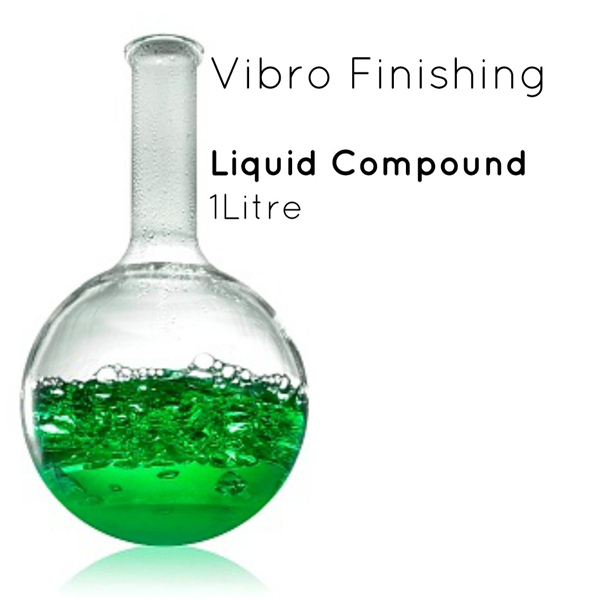 * No need for messy polishing compound. * Colour coded grades are easy to use. 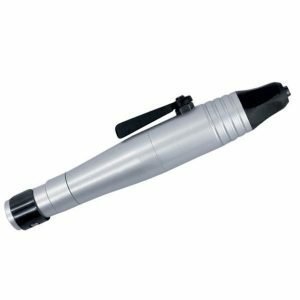 * Brilliant for polishing detail such as filagree. * Get right down into surface textures, etchings, soldered on additions etc. 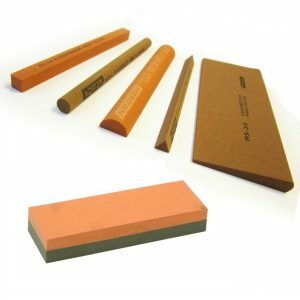 * Very fine grades can be used next to hard stones (light green 1 micron). 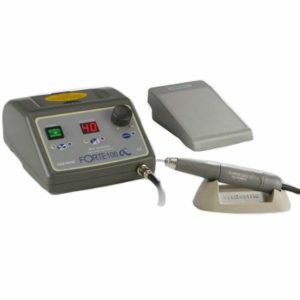 * Ideal for repair work, for touching up small areas and delicate objects. 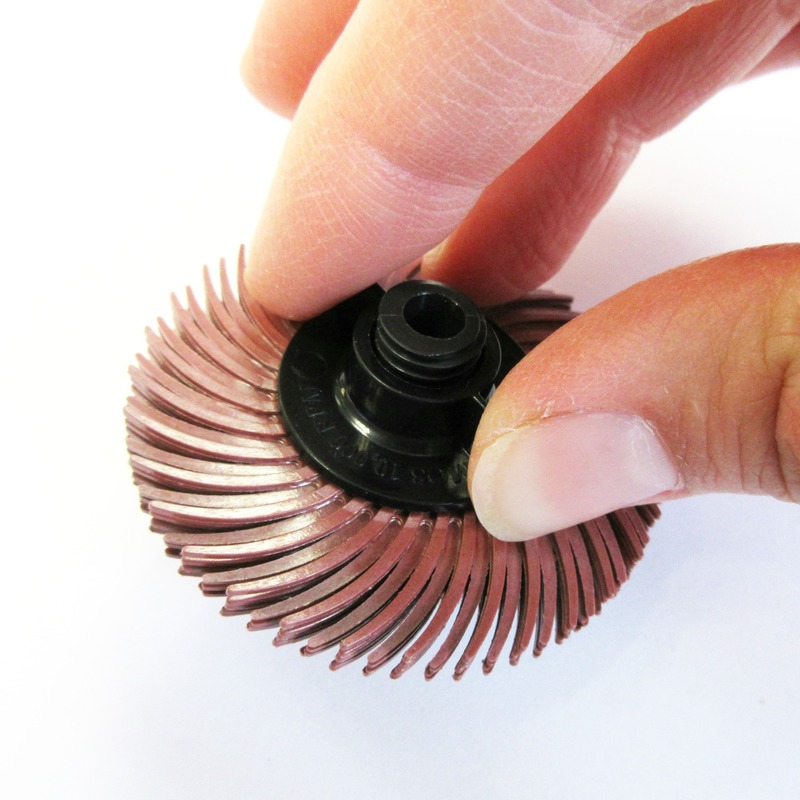 Used in multiples of 3 the mounted radial brushes are used with a Pendant Motor or Micromotor using a reusable screw top mandrel. 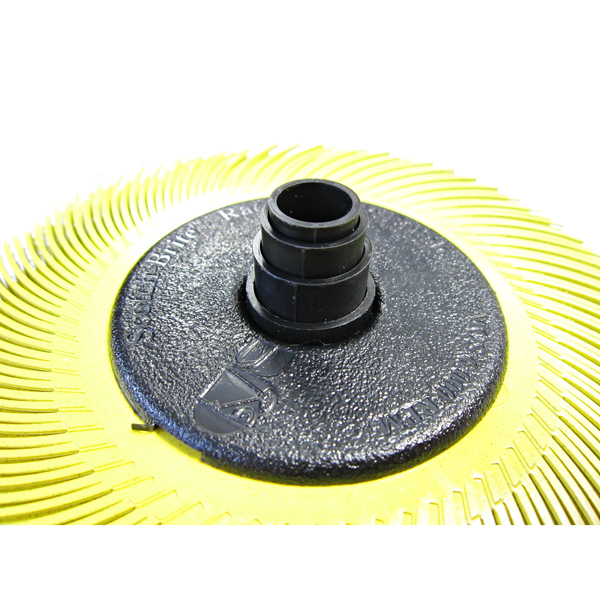 We manufacture and supply a range of radial discs. 3M Radial discs in 19mm and 25mm diameters. 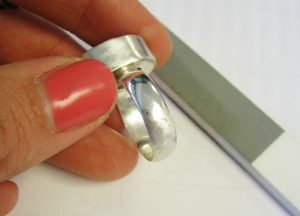 19mm is best for jewellery scale work, finer grits are available in this size. The legs are also finer and more flexible. Sold individually you will need at least 3 discs. 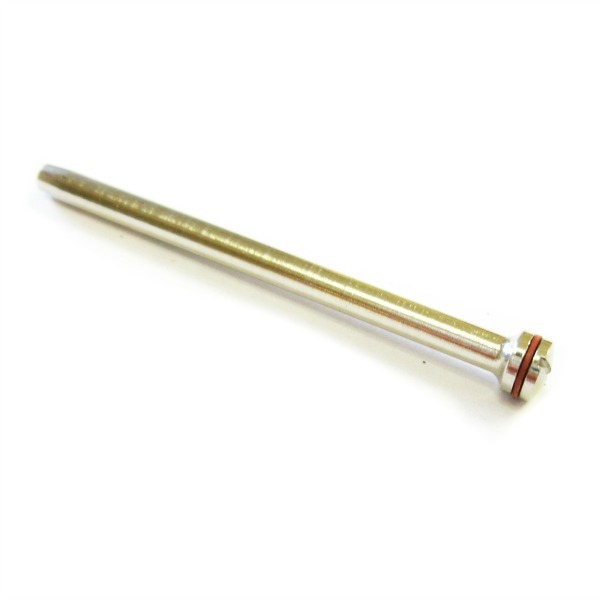 Screw top mandrels are reusable, however it's advisable to have one per grade of radial disc. 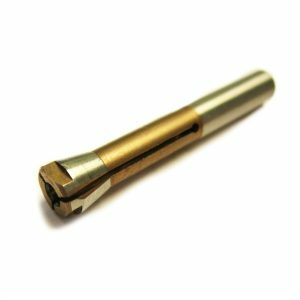 Available in 2.35mm and 3mm spindle sizes, normally jewellers will use the 2.35mm option. How do I use 3M Radial Wheels? 2. 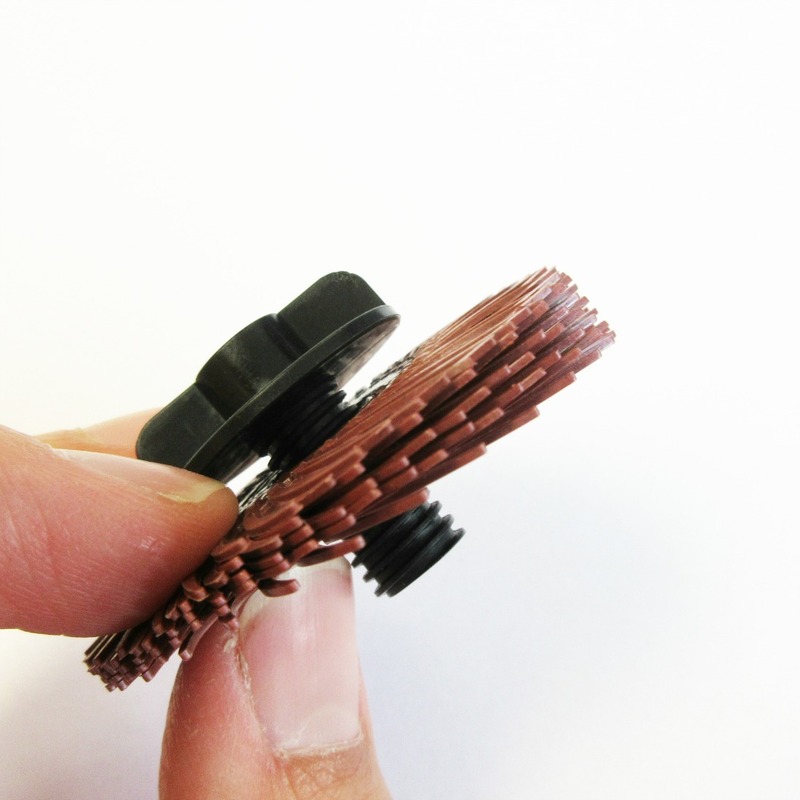 Take three of the same grade and size radial discs with all the legs facing the same direction and thread onto the threaded part of the mandrel. *Always use fresh new wheels, it doesn't work mixing old or new. 3. The most important thing is to check all the legs face the right way otherwise they will all fling off when you start polishing. 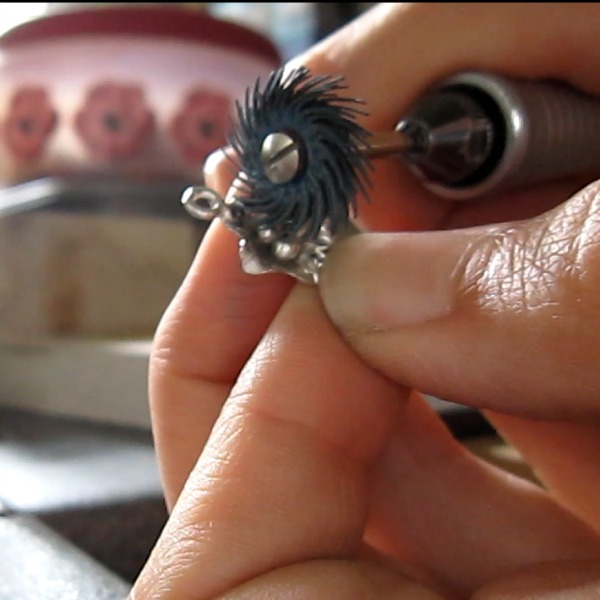 *Use this image as reference, the legs need to face anticlockwise when you look down on them mounted on the thread. 4. Now put the mandrel back together and ensure it is tightly screwed back together. Remember it will be spun so needs to be tight but not so tight you can't undo it and add new discs. 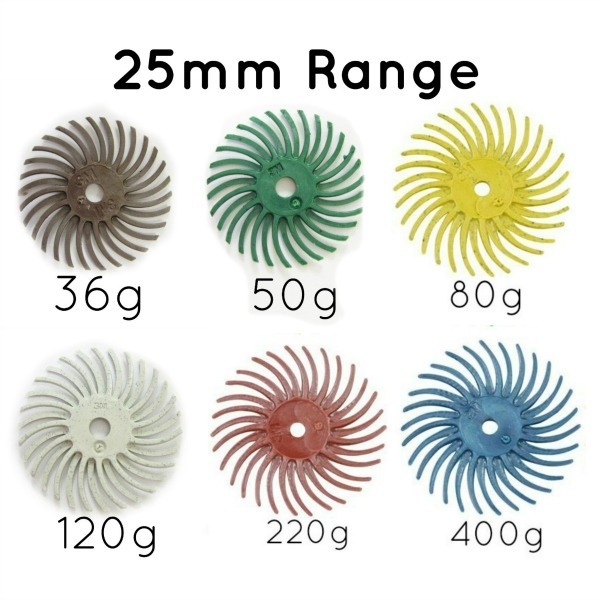 There are slightly different grits available in each of the two sizes, generally the 19mm range is finer and better suited to jewellery work. It isn't essential to use every grade, you can cut out steps too. 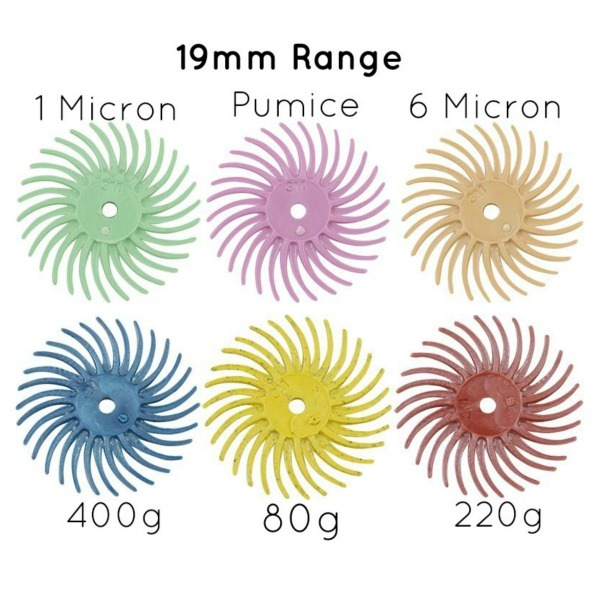 A perfectly working selection for example could be 80g (yellow), 400g (blue), 6 micron (peach), 1 micron (light green) in that order. Are There Bigger Wheels for Bench Polishers? Well the short answer is yes!! 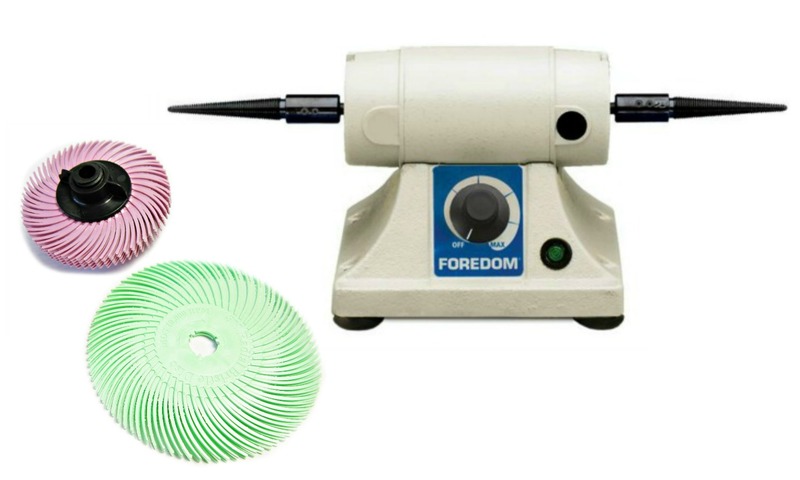 For small bench polishers particularly like the Foredom bench lathe we do 50mm and 75mm diameters with a reusable plastic taper centre. 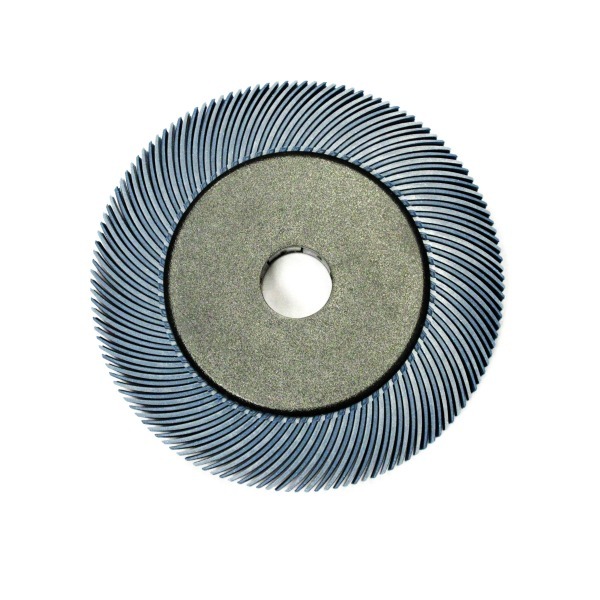 For larger polishers those sizes will work but we also do a 150mm diameter. This can be an expensive option so we do also stock a cheaper non 3M version just in this size. 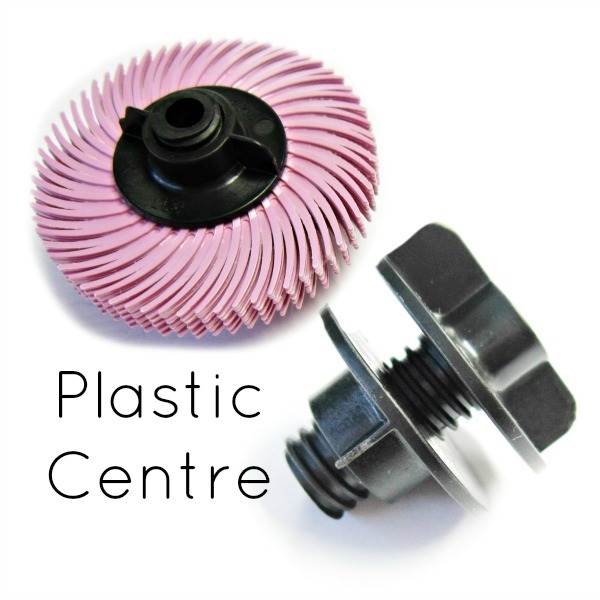 50mm and 75mm wheels are great for using with a bench polisher, there are a selection of mounting options so they can be used with a drill or bench polisher. 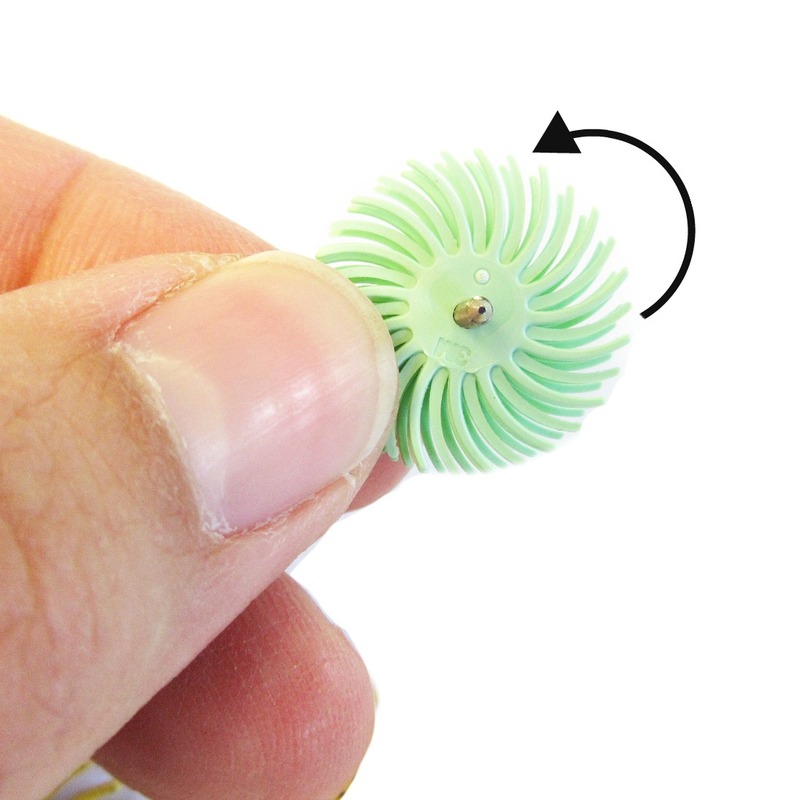 The plastic screw centre works with the 50mm and 75mm wheels. 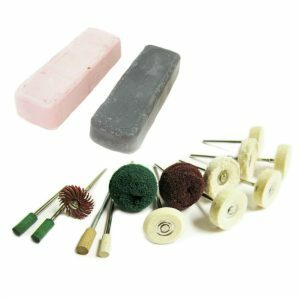 It works best with a small polisher such as the Foredom Bench Lathe with very fine pigtails. 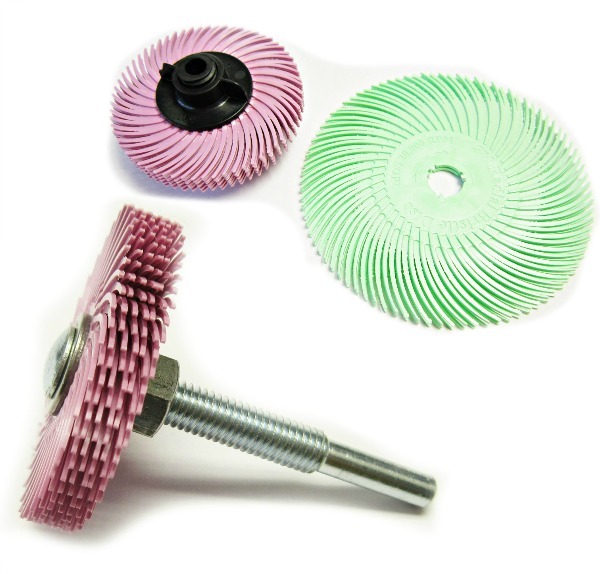 6'' Radial wheels are used with a bench polisher. The centre is adjustable to fit common arbor sizes, just pop the rings out until the fit is tight. We realise this particular size is really attractive but the price can be steep. So we have an excellent alternative, unbranded wheels which work brilliantly. 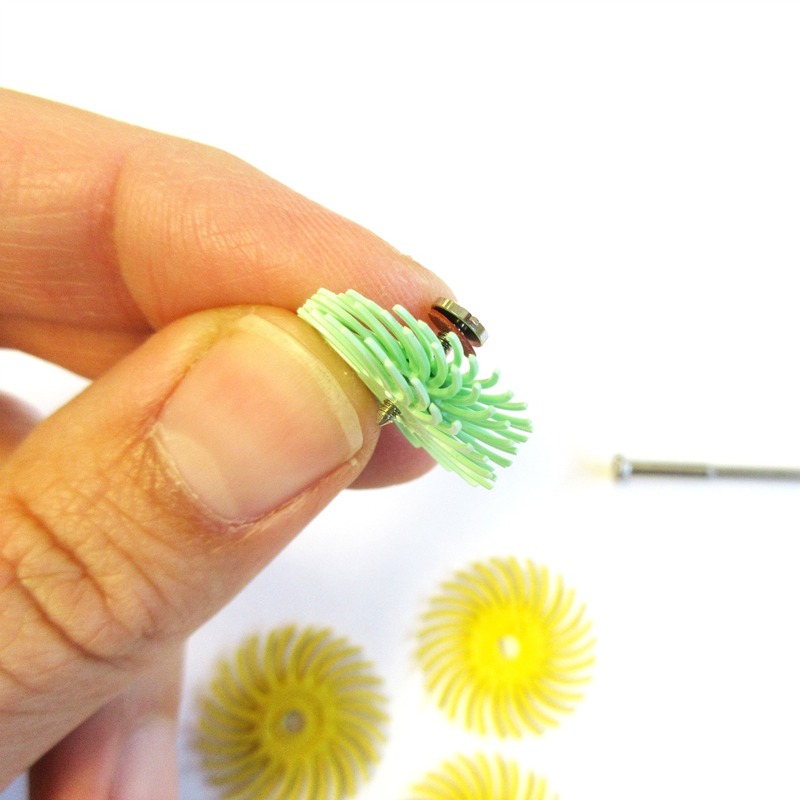 The black screw centre has a taper centre for winding onto a taper pigtail. 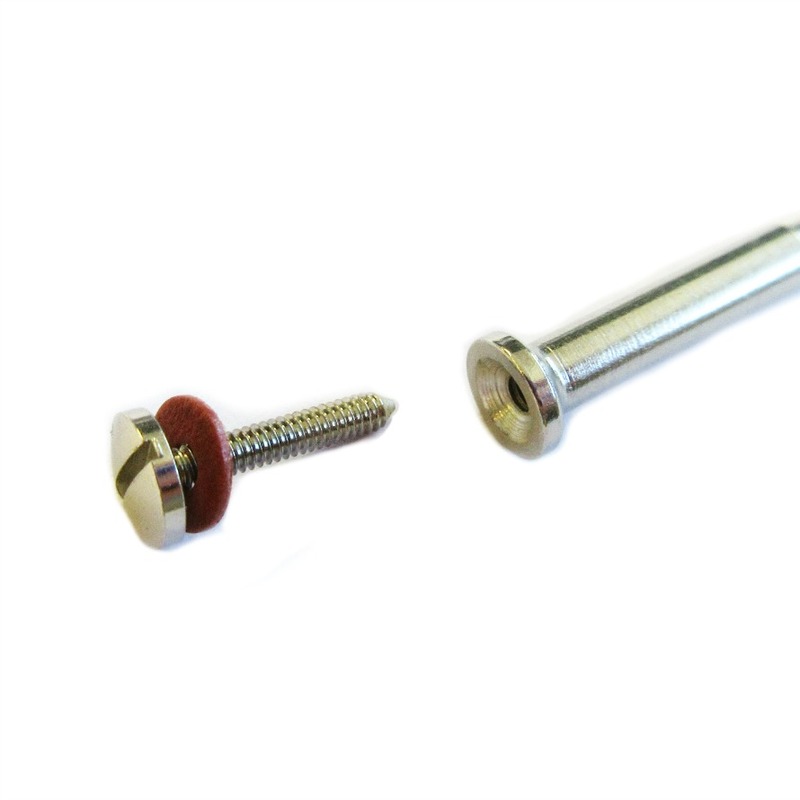 Simply unscrew and mount the discs onto the threaded part. It is important that all discs have their legs facing the same direction. You will need a minimum of 4 discs to be effective and they should all be the same grade (all new/same age). It is important to have the legs facing the right direction. Screw the other half of the centre until it is tight and traps the discs. This wheel is then wound onto the taper pigtail of the polisher. If you look down the centre you will see that the hole tapers, widest end goes on first.